In 1994, 800,000 Tutsi were killed in the Rwandan genocide as UN peacekeepers stood by. Despite relentless requests from Force Commander Roméo Dallaire, UN headquarters and powerful governments refused to provide trucks or radio-blocking technology that could have protected civilians, and UN peacekeepers were under orders not to use force unless they were directly targeted. In the wake of the violence, international leaders promised legal solutions to prevent genocide and mass violence in-real-time through legal doctrine like the Responsibility to Protect (R2P). Twenty-five years have now passed since the Rwandan genocide, but despite the optimism around R2P and other legal developments, mass violence and genocide continue to occur. And they are met with limited legal response as they unfold. Syria, the Central African Republic, and Yemen have all seen extreme violence against civilians in recent years. If the law prohibits such behavior, why is there no resulting global action? In recent research, Katherine Southwich employs a classic legal model that shows how the naming, blaming, and claiming of violence are central to legal disputes. This allows her to pinpoint moments when political choice can affect the function of international law. Legally, a violation must first be “named” as harmful. Then “blame” for this harm must then be attributed on a group or individual. Finally, the victim must “claim” victimhood and seek remedy. Southwich argues that each of these stages are politically tenuous in international law. The burden for claiming crimes against humanity is broad. The term “crimes against humanity” is meant to reflect that violations like torture or enslavement are an afront against not only the victim, but against all people. Based on this understanding, developments like R2P created a global responsibility to defend against such crimes in order to protect all of humankind. Southwich asserts that a diffusion of responsibility makes it less likely for anyone to act. And in terms of naming, no central body exists that determines whether or not a crime is genocide. States or international bodies may adopt the language, but there is no group that defines the crime. When such assessments are inherently challenging, especially in-real-time, naming is often put off until it’s too late to help targeted groups. The existence of legal protection doctrine does little alone. Powerful states and international organizations must choose to uphold their legal commitments. Southwich uses the case of the Rohingya in Myanmar to examine the failures of international institutions in upholding promises of civilian protection. The Rohingya have faced persecution in Myanmar for decades, with many experts calling for legal action during this ongoing genocide. But despite restrictions to health care, destroyed villages, and mass killings, judicial processes to address the violence are largely at a stand-still. In the meantime, the humanitarian situation escalates, with Rohingya refugees fleeing to neighboring countries that struggle to support them. Many states have chosen to dwell in semantic disputes to avoid response. And there are many reasons they may choose to not act – they may see Myanmar as a potential business partner, or they may be hesitant to endanger their own soldiers in peacekeeping missions. As experts still remain divided about the best strategies to respond to mass violence or genocide, many states decide their own costs outweigh potential benefits to victims. The existence of legal protection doctrine does little alone. Political will is necessary to mobilize the law and to promote protections for civilians. Powerful states and international organizations must choose to uphold their legal commitments. 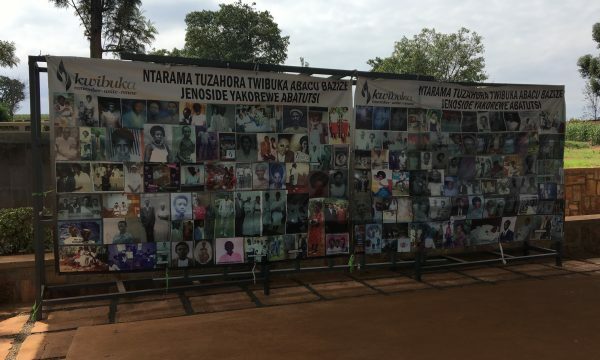 Twenty-five years after the Rwandan genocide, the need to protect civilians from genocide and mass violence remains as crucial now as it was in 1994.